EXERPT: “According to U.S. Census data, West Town had 18 percent fewer residents in poverty in 2011 compared to 2000. Belmont Cragin experienced an 86 percent increase in poverty during this same time frame. In 2011, 17 percent of West Town’s population was in poverty. About 21 percent of Belmont Cragin’s population met poverty levels in 2011. Anecdotally, the number of Belmont Cragin residents living in poverty continues to increase, Onward officials report. Recognizing the growing need in Belmont Cragin, Onward Neighborhood House’s board voted to open a second facility in the neighborhood six years ago. Today, Belmont Cragin resembles the West Town “of decades past,” Garcia wrote. “It is a vibrant, overcrowded neighborhood of first and second-generation immigrants,” Garcia wrote. In August, Onward Neighborhood House opened a food pantry at St. Peter’s United Church in Belmont Cragin. More than 20 percent of the neighborhood’s residents are “food insecure,” Bollin said, meaning that they lack regular access to the food they need. The food pantry, in the basement at St. Peter’s at 2805 N. Linder Ave., is open from 4-6 p.m. Thursdays, and as demand increases, the non-profit plans to make the pantry available twice a week. Proceeds from the sale of the Onward Neighborhood House’s Leavitt building will be re-invested in the organization. The new Belmont Cragin building adds more than 9,000 square feet of administrative and programming space, Bollin said. 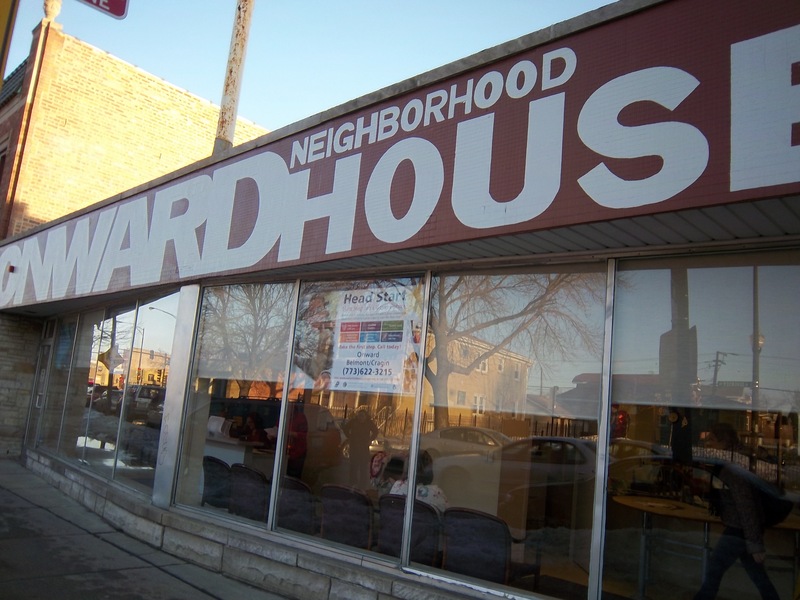 Before the move, families served by Onward were transitioned to other programs in West Town, including programs at Erie Neighborhood House, 1701 W. Superior St., and Northwestern Settlement, 1400 W. Augusta Blvd. As poor families migrate, can aid keep up?